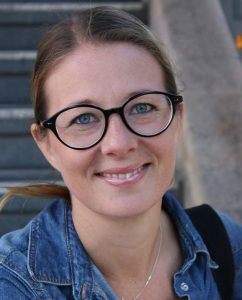 Jessica Cartwright is one of the most sought after guides in the city – not only because of her in depth knowledge of Berlin – past and present – but also for the phenomenal way in which she conveys its history with spirit, suspense and compassion. Jessica, Swedish in origin, came to Berlin in 2005 via another famous B – Broadway. After seven years as a professional dancer she swapped the boardwalk for the streets of Berlin and took the opportunity to combine her interest in history with her natural ability to entertain resulting in an unforgettable Berlin encounter. She has a genuine passion for the city and its fascinating stories that she loves to share. Come and experience Berlin through her stories of the city and its people as they stood at the gates of history with her “multimedia” props and passionate recounting of some of history’s most pivotal moments. A tour with Jessica’s entertaining, dynamic and above all packed with history.